It seems that Romania is gaining popularity for nothing else but Romanian brides and romance scams these days. How the country got itself involved in this mess goes back to two things. Beautiful women, and a dismal economy. As Romanians seek a better life, many have found that by scamming foreigners on the internet can be a way out to a better situation. If being a criminal or unethical is what it takes, many Romanian scammers accept the risk. The poor economy in Eastern Europe has led many beautiful Romanians to seek love online on major social networks and also online dating sites. Other Romanian women choose adult web cam sites or adult online dating. They hope to meet a foreigner who can support them, and pay their way to a better life. And, they are willing to do nearly whatever it takes to get it. 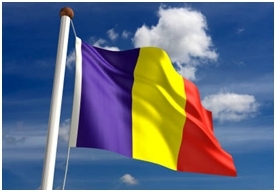 Romania investigators confirm that in the past six months the request for investigations on women located in Bucharest and elsewhere in Romania has nearly doubled. Clearly, not all Romanian women are scammers and many are beautiful, honest and decent women truly looking for love, or just looking to meet new people. Investigators say ignoring the risk, however, is a dangerous way to conduct relationships online, and often leads to internet users being victims. Some scammers use fake profiles and photographs. Others show themselves on website, but lie about their true identity and situation. Still others reveal themselves entirely, but lie about their intentions, feelings and motives just to get your money or gifts. It’s a serious risk that can leave online dating subscribers and social networking users devastated with heartache and very serious financial loss. Experts say it is essential to verify first rather than later. International private investigators warn that the risk for online scams and fraud, especially in the realm of internet dating and social networks continues to rise. Guard your personal information. Do not reveal your true date of birth or address until you’ve met the subject in person, or had the person verified by a reputable private investigation company and background check. Romance scammers are professional criminals that know their ways to gain your trust and eventually your money. Investigators have seen people requesting help when it is already too late and in most cases, victims have lost a lot of money and life savings, even their homes in some cases. Whether it’s Romania or elsewhere, take it slow on the internet. Take time to get to know the person, protect your personal data, and consider an international background check.